5 Tips to Start the School Year Organized - Energetic Juniors - Contact Us! It’s hard to believe that summer is over and fall is upon us. This time brings new school supplies, new after-school activities and of course, new friends! But, the start of a new school year can also feel overwhelming for both children and parents alike. As a parent, does it ever feel like starting a new routine is hard? That sometimes it feels impossible to keep up with the start of a new school year? Does your child need some help with their executive functioning skills? Color-coded folders will help your child keep worksheets and homework separated for each subject. This will allow them to easily find the right work at the right time. Let them have fun picking the colors and patterns! Help your child create an “at home” schedule for the week, including their different classes, subjects, and after-school activities. Having a schedule will empower your child to be proactive about what is needed at school the next day (you can even include a reminder about school clothes!). It will also help make them accountable to complete homework on time. An agenda book allows your child to write down his or her assignments to keep track of what homework they have to do at night. This will also help your child remember when they have tests and quizzes, encouraging them to plan ahead. They can use their agenda books to write down exciting social events that they have coming up, e.g friends birthdays, extracurricular activities, plans with friends. This can help develop great executive function skills for the future. Using different colored pens and highlighters will help keep your child’s notes colorful and easy to read. This way, your child can stay organized by using different colors to emphasize different pieces of information in their notes. The colors can help your child remember where to find certain notes. Signing up your child for after-school activities such as sports, dance, or extracurricular classes establishes a routine. This also allows parents an extra few hours before their child comes home. 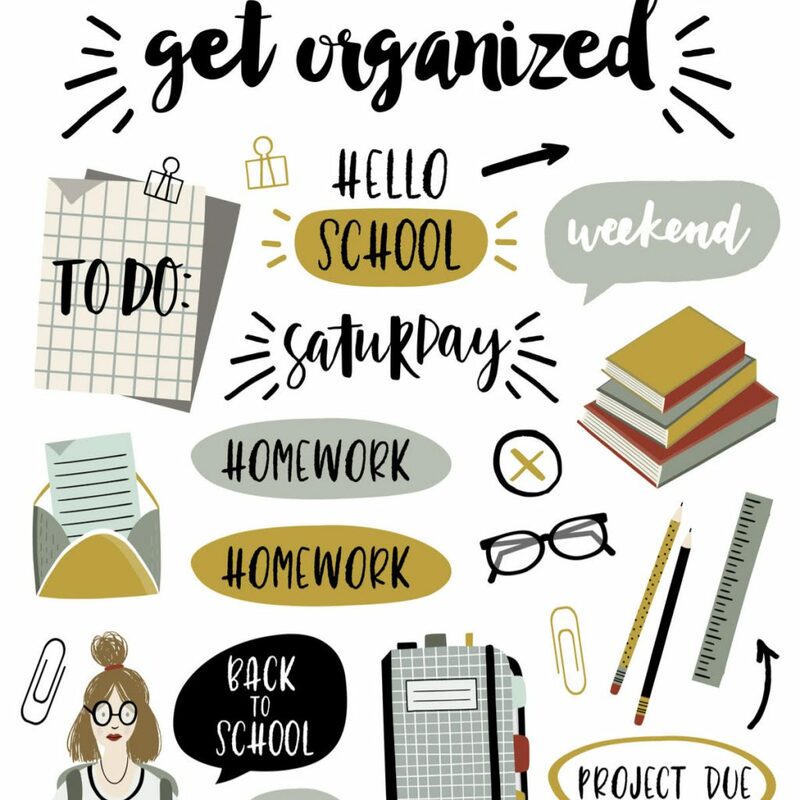 Not only will parents have the time to get organized themselves, they can model organizational skills so their kids stay on top of things, too! Mia Gold-Rosenberg is a psychotherapist at Liz Morrison Therapy in New York City, New York. She works with children, adolescents, and young adults. Mia received her Masters Degree in Social Work from New York University. In her practice, Mia’s specialties include social skills, behavior modification, impulse control, ADHD, anxiety, relationships and friendships, parenting, and self-esteem. For more information on Mia please visit www.LizMorrisonTherapy.com.